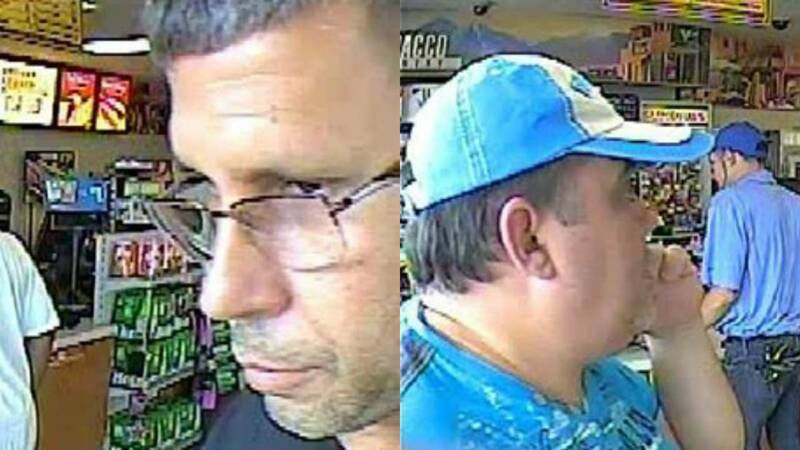 FORT BEND COUNTY, Texas - Officials are searching for two men in connection with the use of a fraudulent credit card at a Valero gas station in the 11100 block of Briar Forest on June 9. 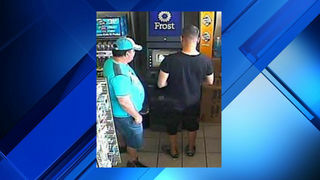 The Fort Bend County Sheriff's Office said the two men skimmed the victim's debit card before using it to make several fraudulent ATM withdrawals. Deputies described the first suspect as white, approximately 5 feet 11 inches tall and 185 pounds, with a medium build. He was wearing a black shirt, shorts and sneakers and glasses. The second suspect is described as white, approximately 5 feet 7 inches tall and heavy set. He was wearing a blue shirt, jean shorts, a blue and white baseball cap and black sneakers. Both men are believed to be in their 40s and possibly of Romanian descent. Anyone with information about the case is asked to call Fort Bend County Crime Stoppers at 281-342-8477.